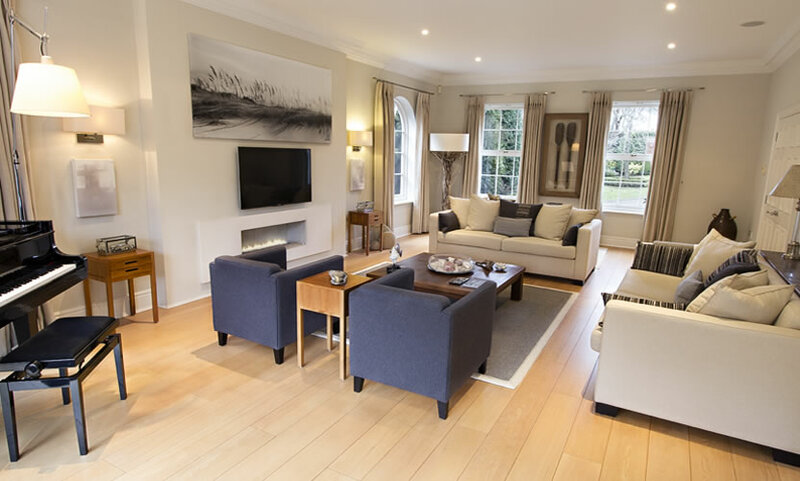 Complete Interior Design, Procurement and Project Management for a Drawing room in Cobham, Surrey. 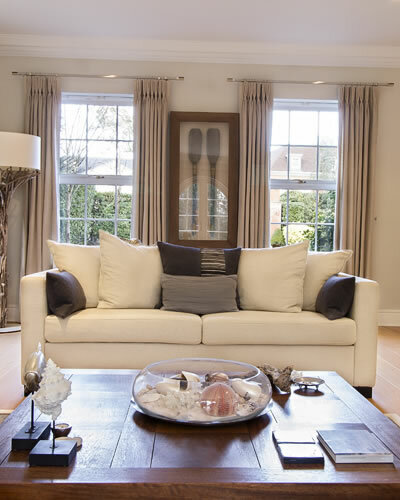 The brief was to create a contemporary & stylish formal drawing room in a monochromatic colour pallet with a coastal feel. A combination of fabric styles and textures were used to create warmth and depth to the scheme. Elegant dark grey occasional chairs contrast yet compliment the light beige sofas, tied together with stripe detailed cushions in the with plain wool fabric side panels to add interest & style. Classic driftwood style walnut furniture was introduced for warmth and to enhance the coastal feel of the room. 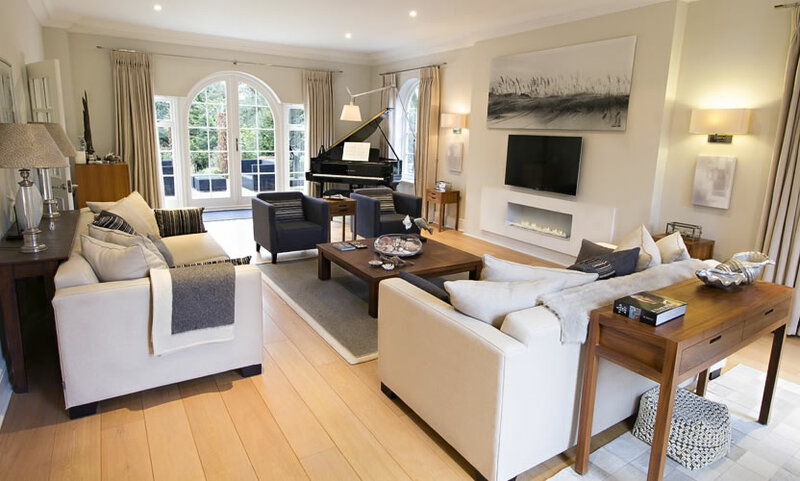 With a textured, white bordered, grey, loop pile rug to create a cosier feeling within the seating area & ensuring the grand piano is a stand-alone piece making a statement all of its’ own. 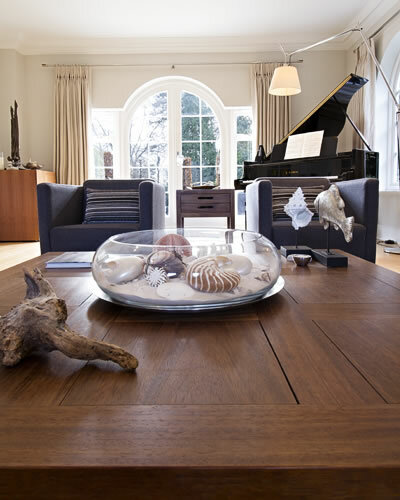 Creating a coastal inspired formal drawing room, perfect for both entertaining and winding down.